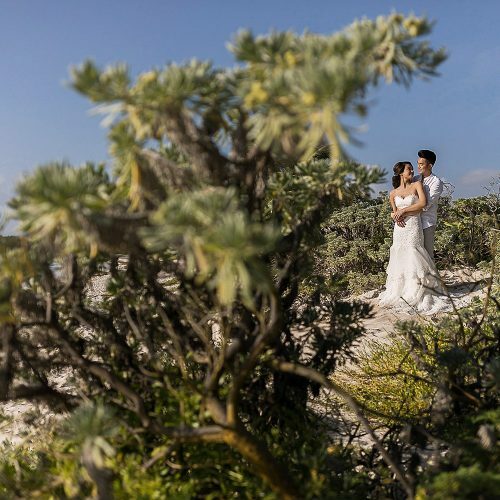 Every now and then the stars align and we have the perfect day and that happened with Yvette and Dennis. 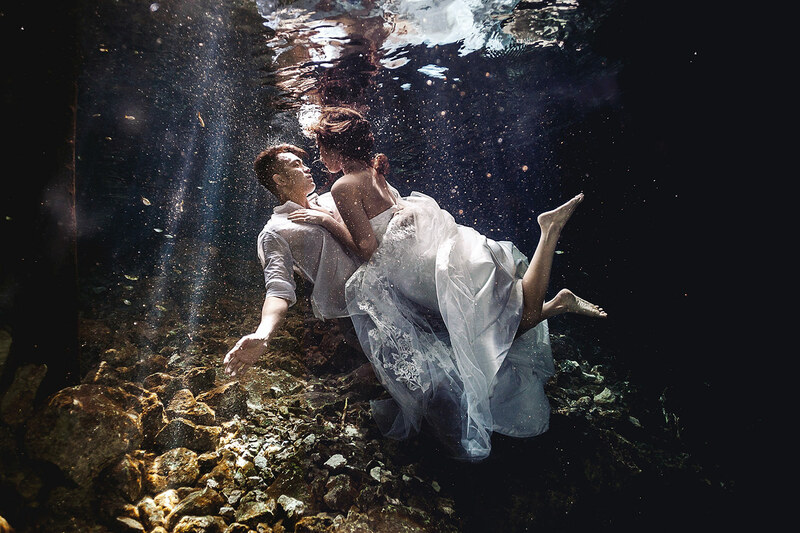 Yevette and Dennis are getting married this summer in Vancouver and wanted some amazing photographs to hang at their wedding. 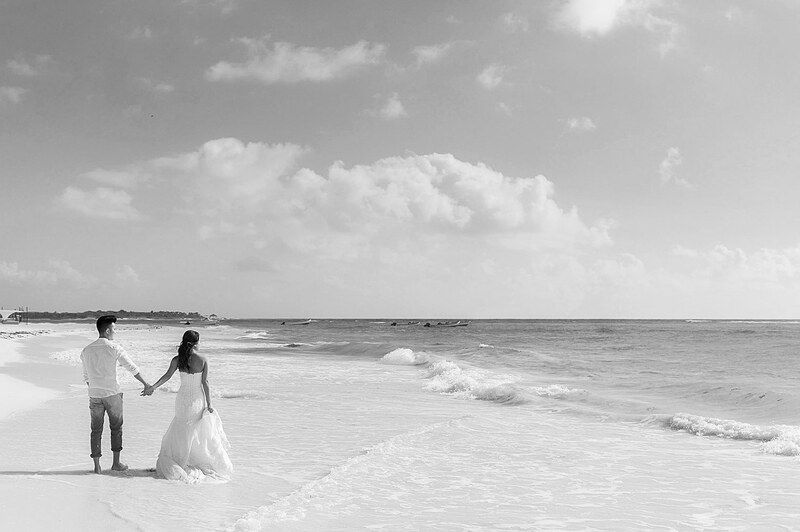 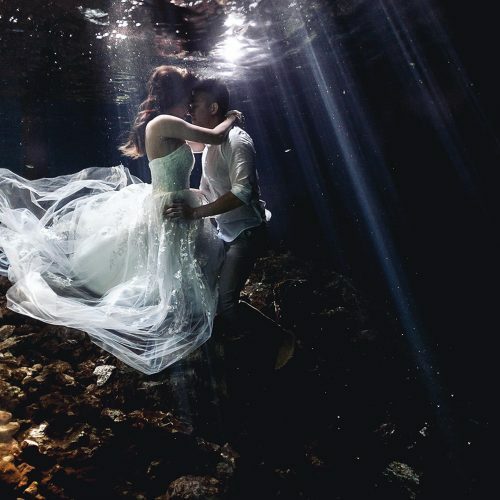 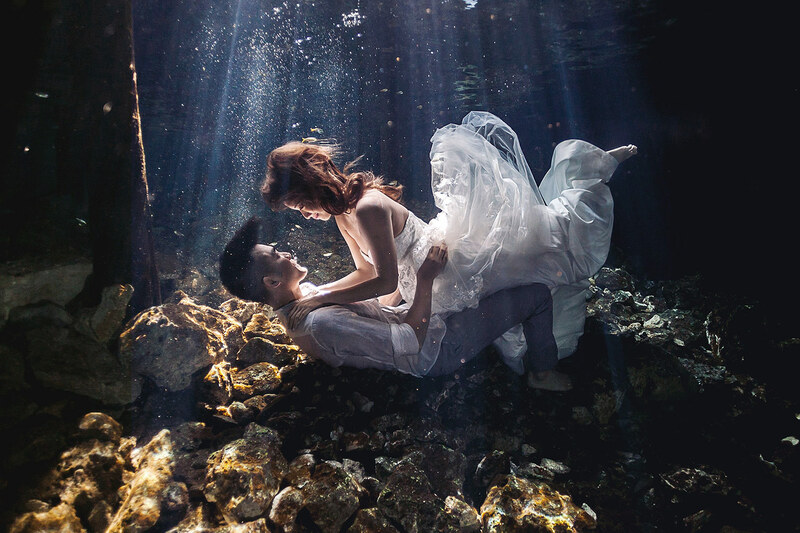 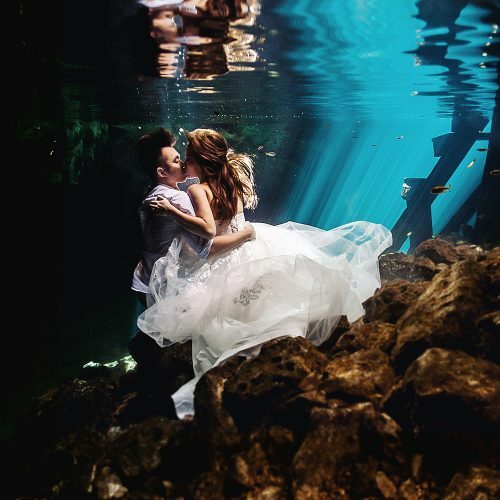 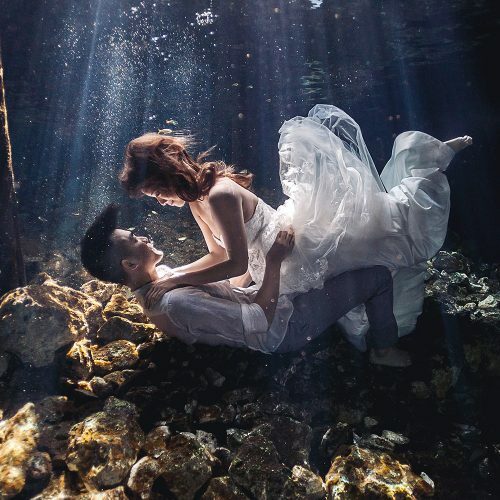 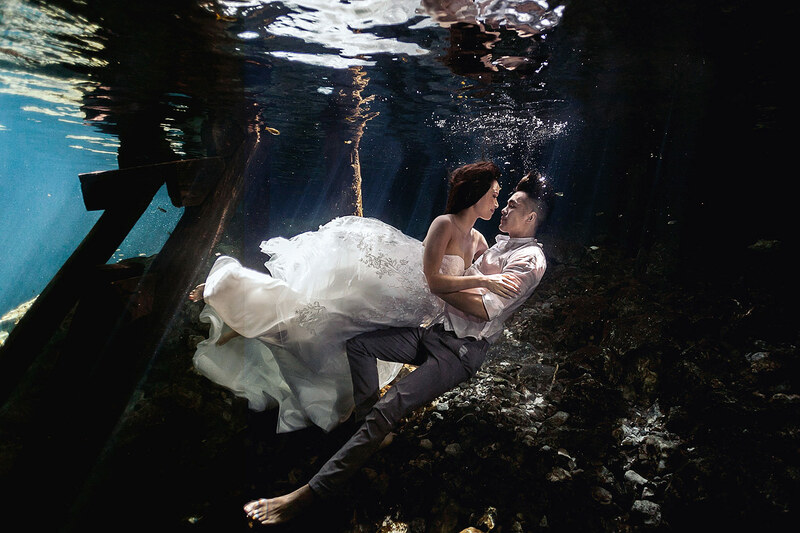 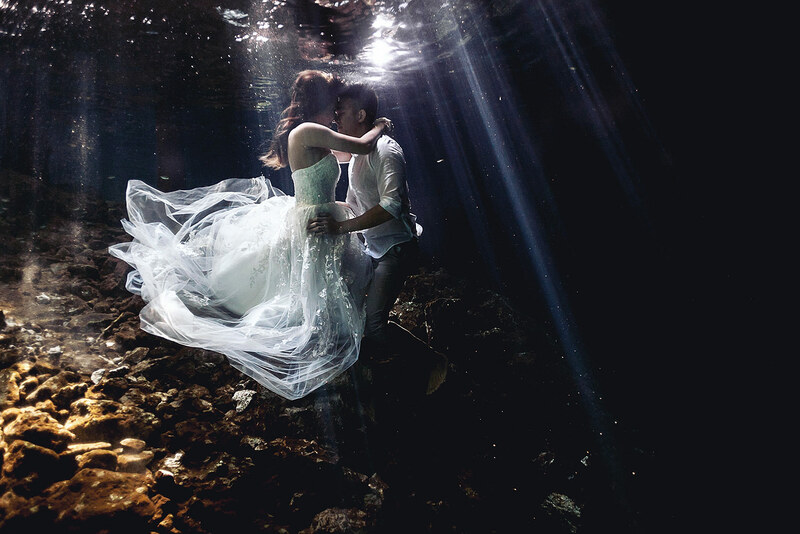 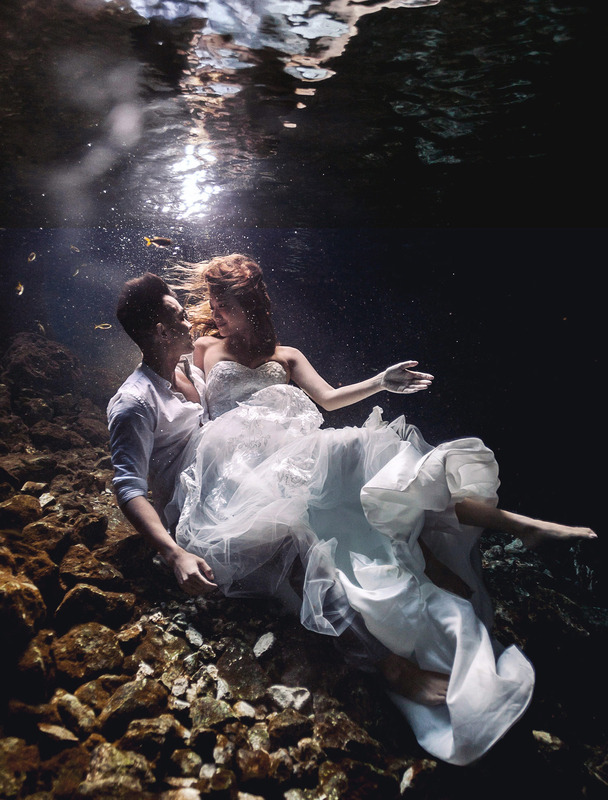 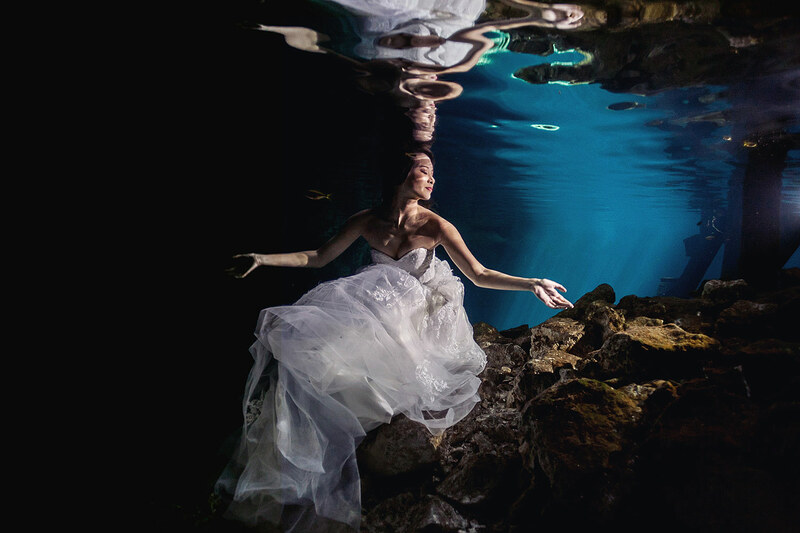 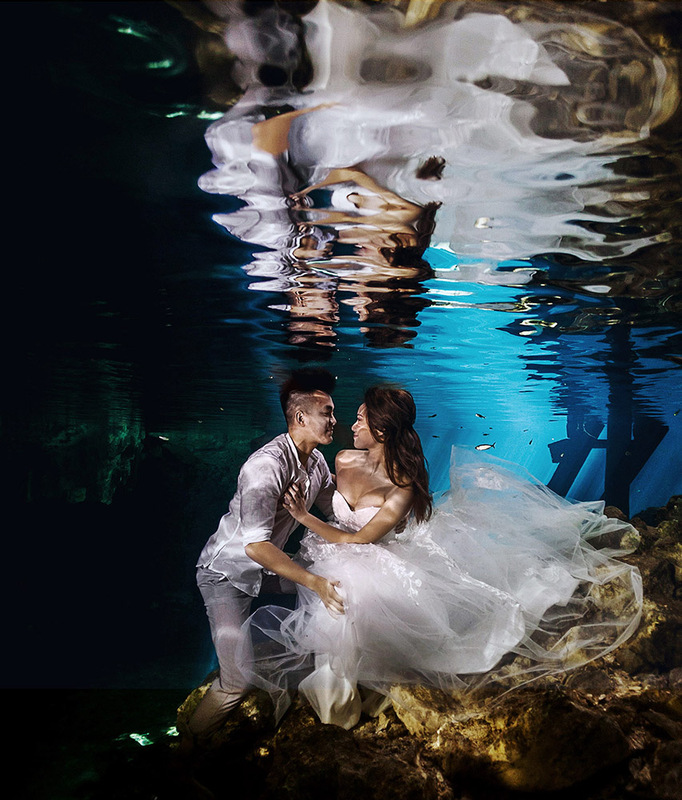 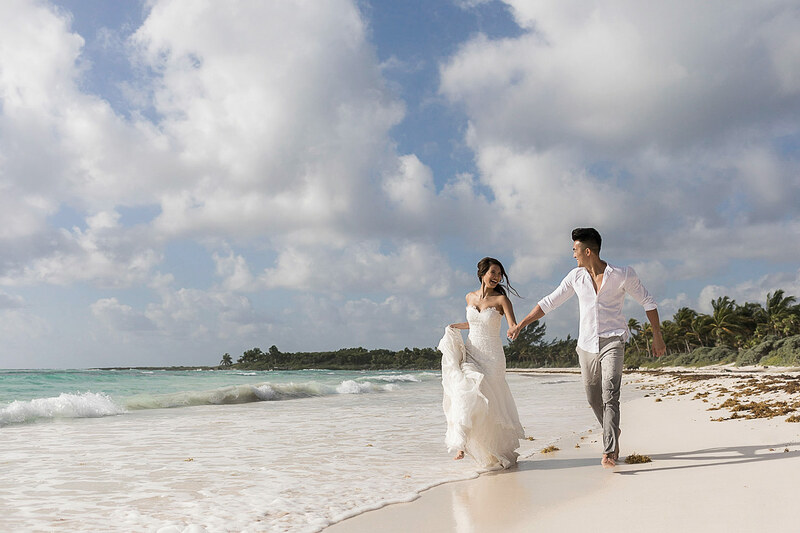 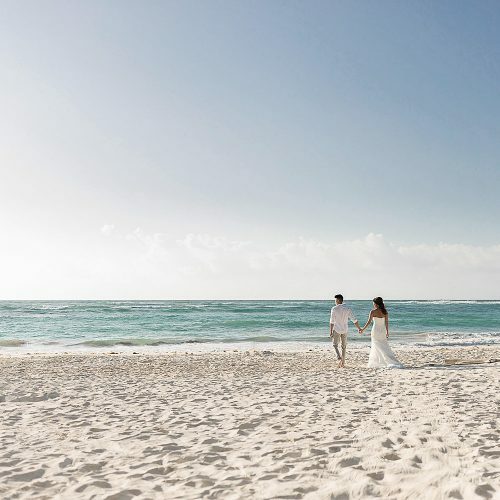 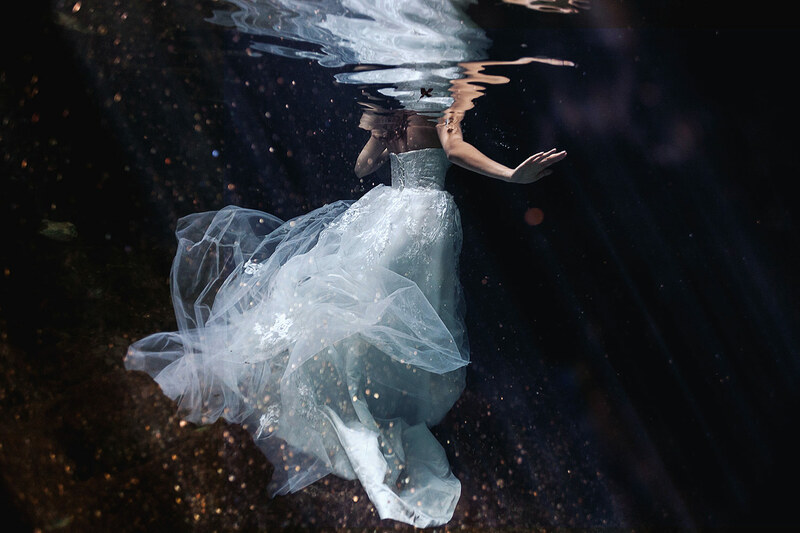 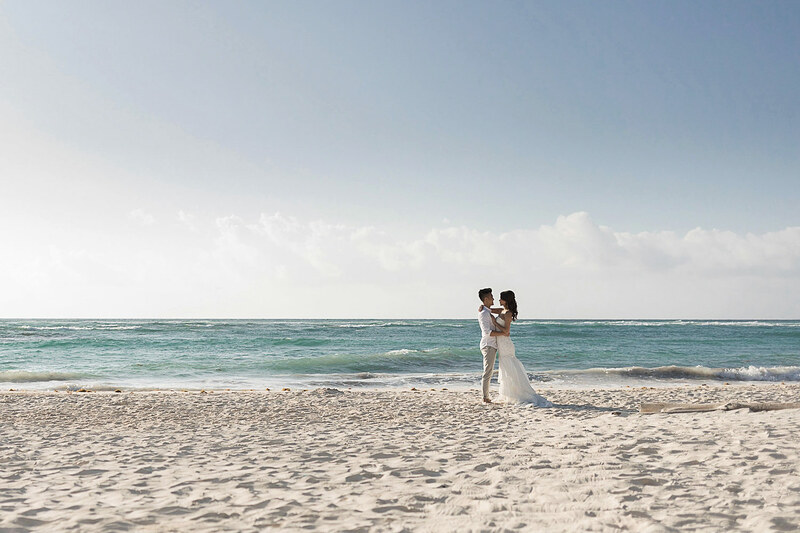 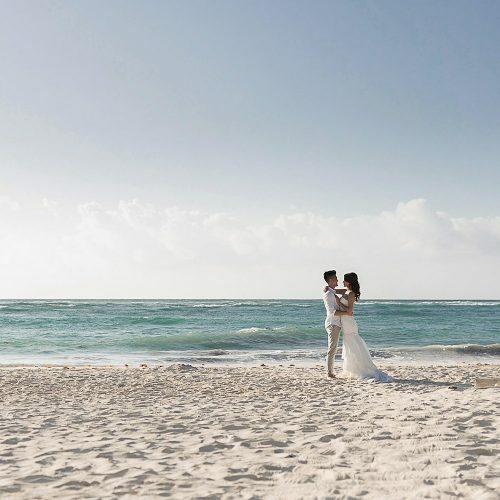 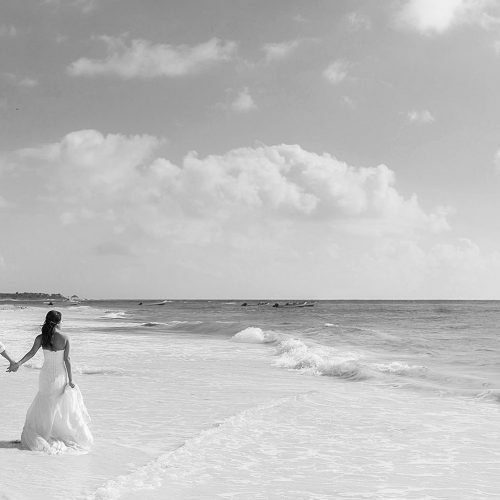 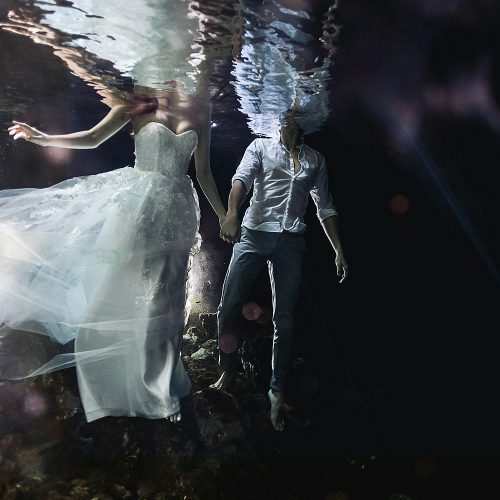 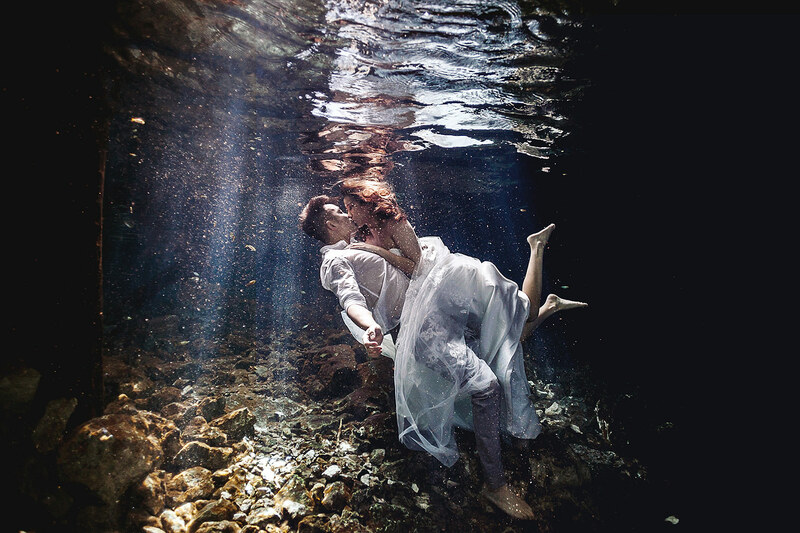 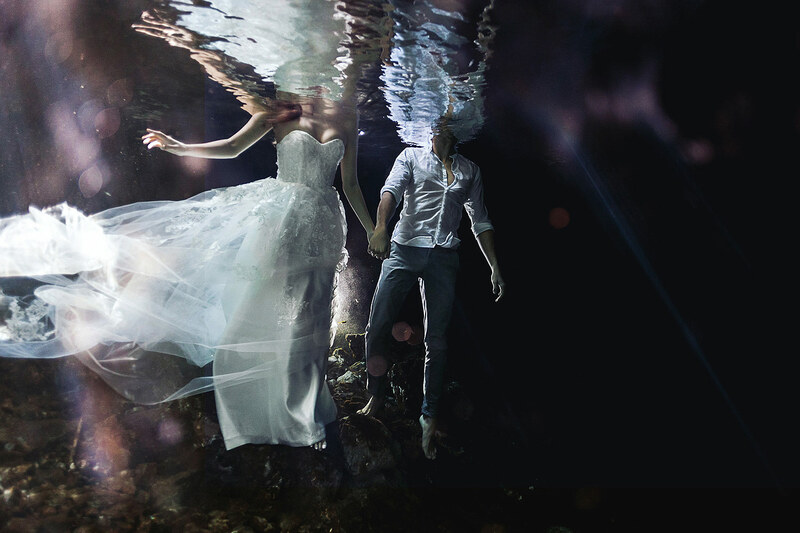 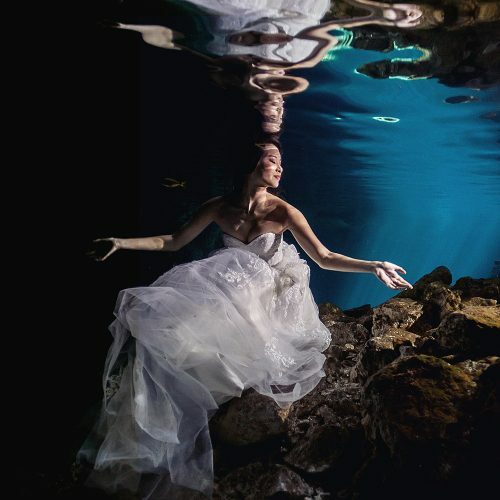 They had found our images online and decided that what we were doing in the cenotes here in Mexico would be the perfect way to surprise their guests at their wedding. 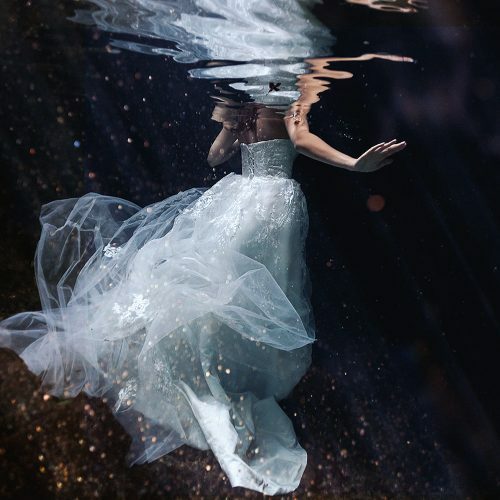 So Yvette went online, found a couple affordable dresses and captured some amazing images. 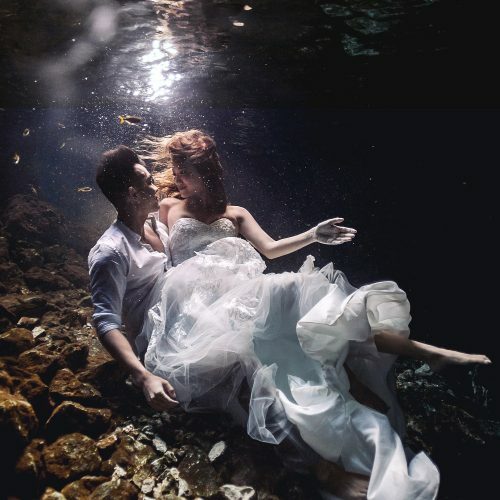 The entire shoot took place on one day. 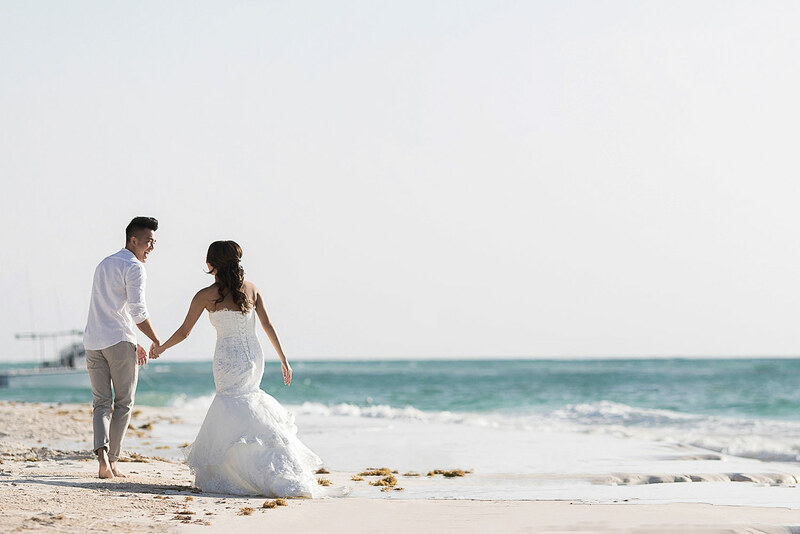 They started with an early start when Yevette went to Styling Trio to have her hair and makeup done. 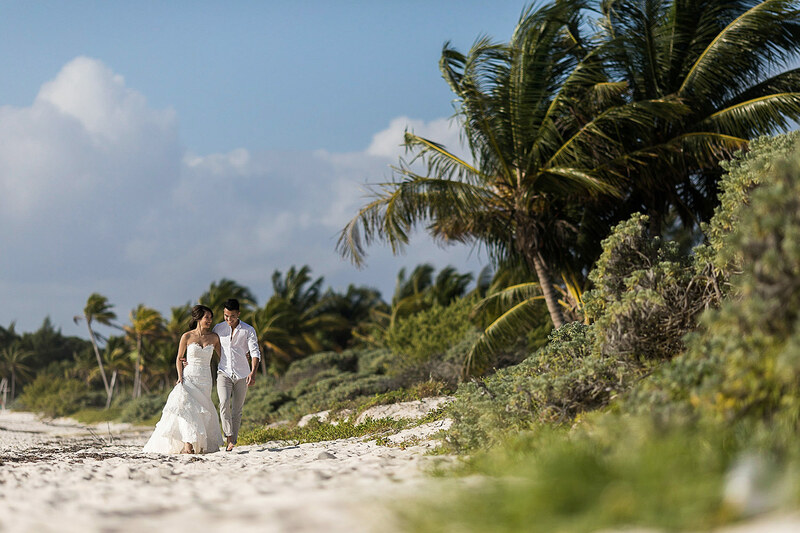 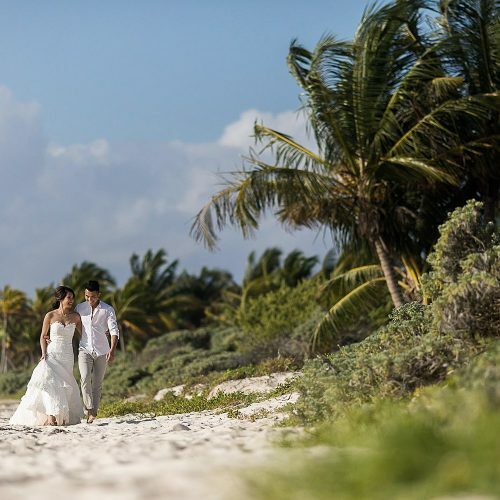 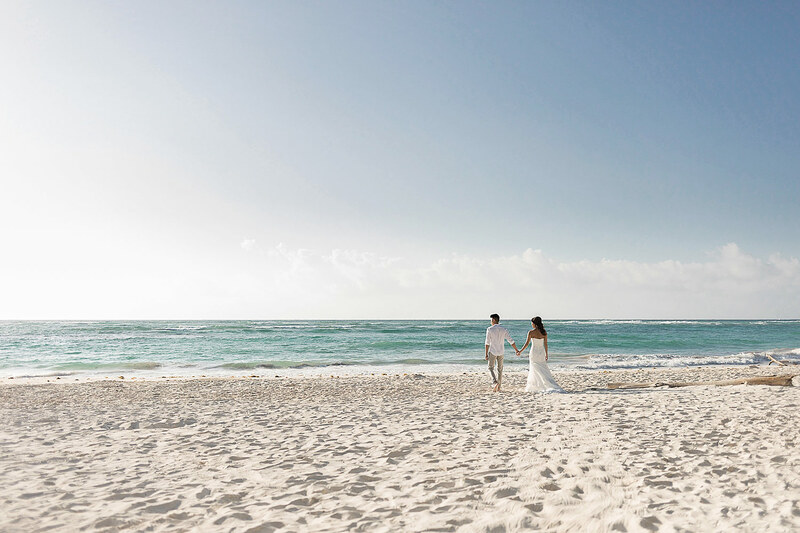 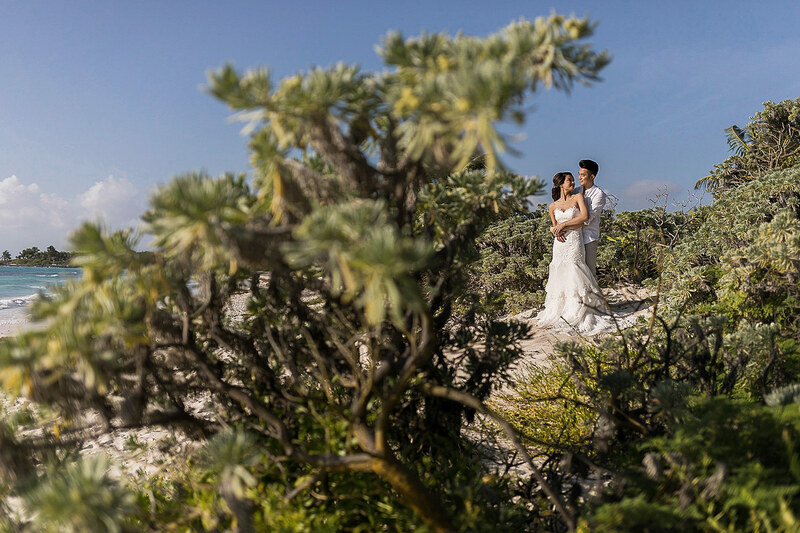 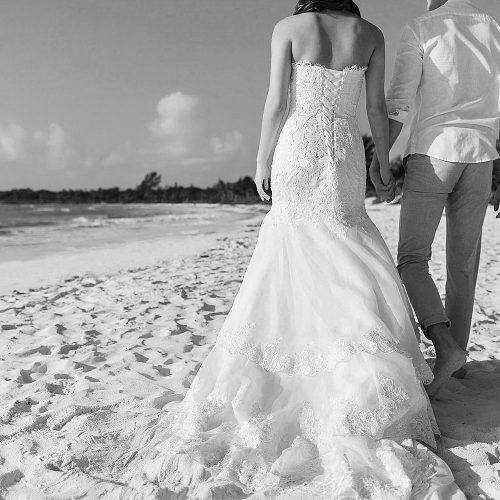 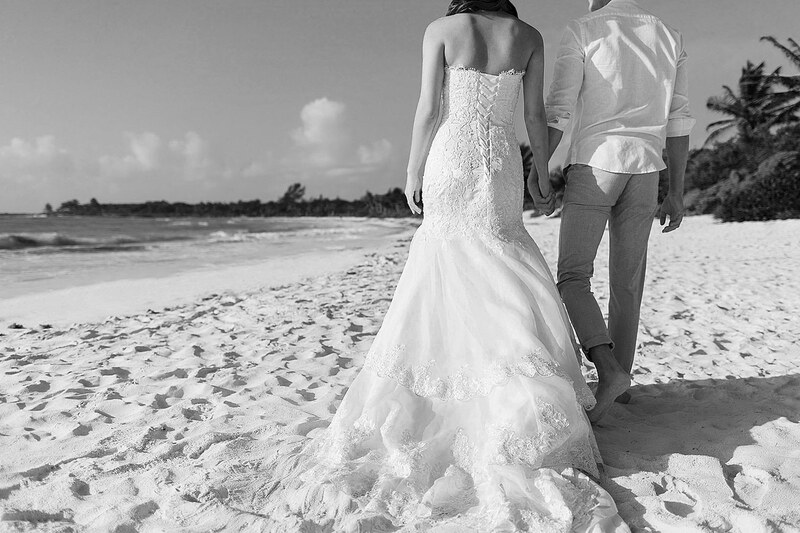 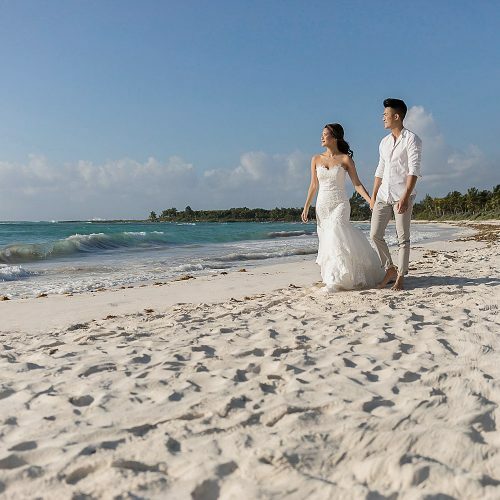 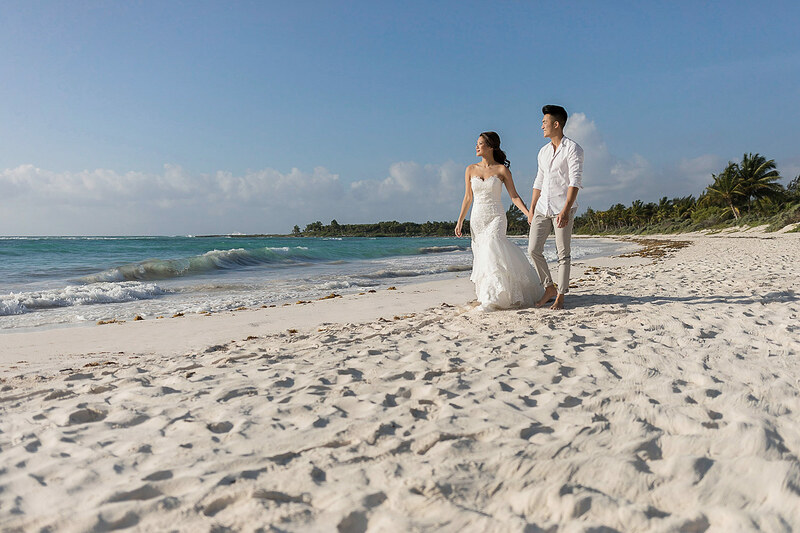 We then took the couple to one of our favourite beaches along the coast where there is still lots of natural vegetation to work with. 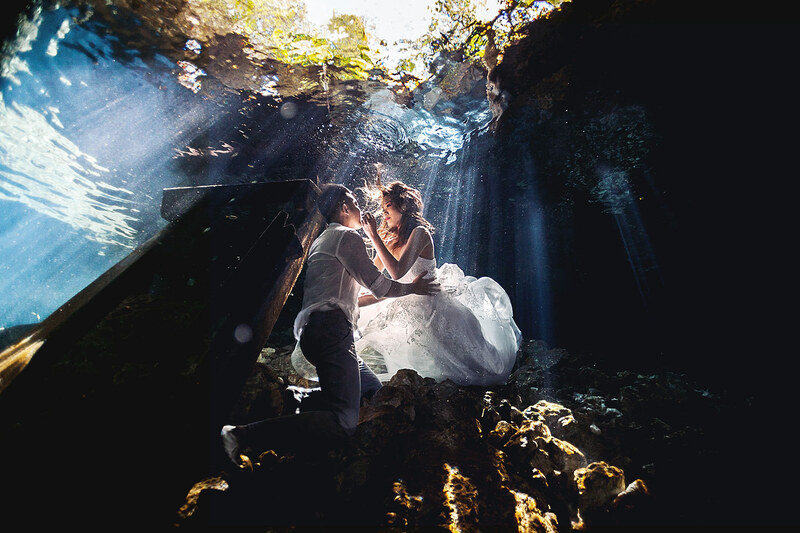 Followed by a short journey to our favourite secret cenote. 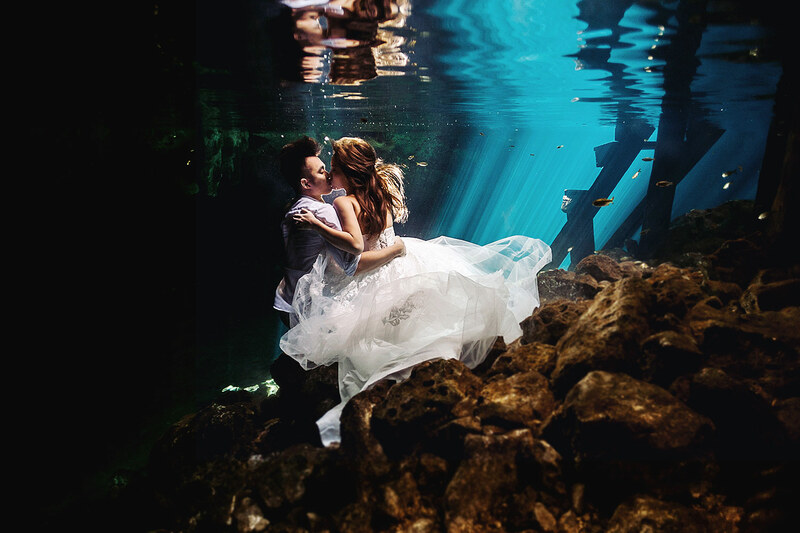 In the end we photographed for about 4-5 hours and were able to capture some of the most amazing images and we hope you enjoy.